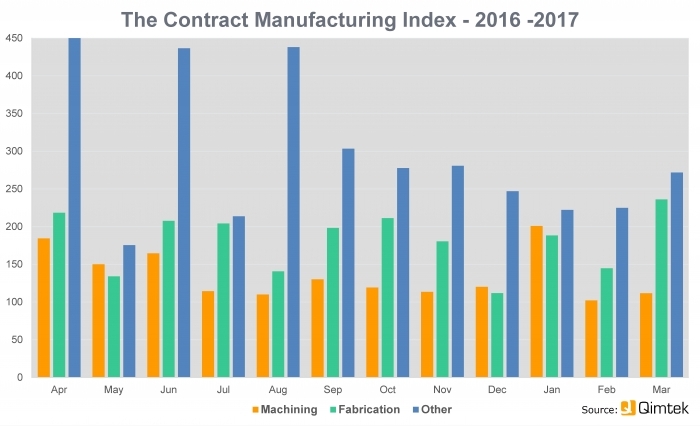 The value of the UK contract and subcontract market rose by nearly 11% in the first quarter of 2017 compared to the final quarter of 2016, according to the latest Qimtek Contract Manufacturing Index (CMI) figures. The index for the first quarter of 2017 was 163, compared to 147 in the final quarter of 2016. Growth has been steady but less dramatic year-on-year. In the first quarter of 2016 the index was 155, so the last 12 months have seen a rise in the index of just over 5%. Looking at the figures on a process-by-process basis, machining was strong in the first quarter of 2017 – up 15% on the final quarter of 2016. It was down by 8% though compared to a particularly strong period for machining in the first three months of 2016. 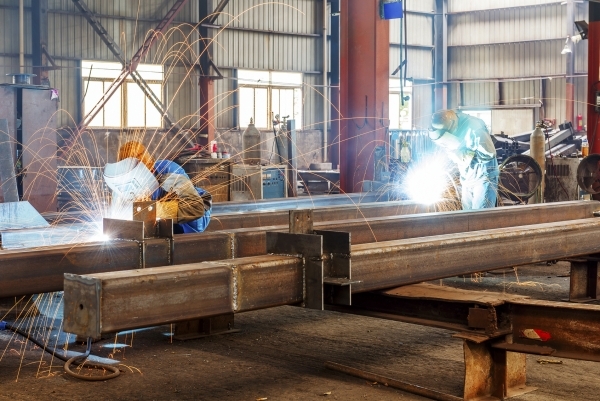 Fabrication more than held its own, up 13% on the previous quarter and 19% on the equivalent quarter last year. To put the figures in context, machining accounted for 48% of the total business and fabrication for 36% of the total, with other processes, including electronics and plastic moulding, accounting for the remainder.